After leaving Seattle following an epic confrontation with his nemesis Eddie Fyers, Ollie wanders to Canada in search of finding himself again as a stunt coordinator on a Hollywood film being shot on location. However, he soon finds that his new friends aren't everything, and everyone, they seem. 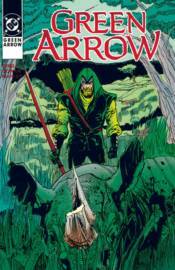 Collecting GREEN ARROW #39-50.